The destiny of a Christian woman charged with blasphemy will speak to Pakistan’s future. An Islamist group in Pakistan is threatening the country’s top court with grave consequences if the Supreme Court of Pakistan decides to pardon a Christian woman accused of committing blasphemy. The head of the Tehreek-e-Labaik Ya Rasool Allah Pakistan (TLP) has made it clear that the country’s top court and its judges are going to be held responsible for any fallout if Aasia Bibi is exonerated, which, according to TLP, would amount to the Supreme Court committing blasphemy itself. 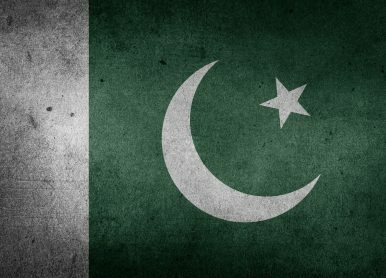 Clearly, Pakistan’s internal sovereignty remains vulnerable to the growing popularity and street power of right-wing Islamist groups that have evidently undermined the ability of the state to implement its writ in all forms. While one can argue that the TLP has enjoyed some institutional support when it comes to the group’s politics of agitation against some political parties in Pakistan, the group’s significance rests on its support among right-wing segments of the Pakistani society. TLP’s politics don’t even revolve around the group’s Barelvi segment of the Muslim population. Rather, the group has targeted issues that hypothetically resonate with the general public. The party appears to have challenged the state’s writ over issues that have remained a central part of Pakistan’s national identity. Any conversation over the role of Islam in Pakistan and any discussion related to the state’s effort to address the issue of religious dogmatism in the country is instinctively considered a threat to Pakistan’s Islamic identity. TLP’s politics of agitation appear to have overwhelmed the state. The party’s policy of not backing down from any showdown with the state has earned the group the reputation of a dangerous cult. The name of the TLP is now associated with sit-ins and viciousness where the state will have to give in to the group’s demands. The group’s leadership has very cleverly been able to shelter its political demands behind religious illiberalism. The faction’s political threats to the state’s institutions are generally understood as issues that should be taken seriously by the concerned authorities. What is worrying is that the group continues to increase its demands. Last year, the group was able to secure the resignation of the country’s federal law minister by carrying out a massive protests campaign for weeks. A month ago, the organization successfully forced the PTI’s government into taking back its decision of nominating an Ahmadi into an Economic Advisory Council. Now, the group’s leadership has threatened to paralyze the country within hours if the Supreme Court sets Aasia Bibi, a Christian woman sentenced to death for blasphemy, free. Arguably, the group is trying to implement its own court system by subverting the course of the country’s justice system to achieve the outcome that it desires. Clearly, it’s not much different from what the Pakistani Taliban used to do in the country’s tribal areas before they were routed out through a massive military operation. However, it remains an open question that how far the state is willing to go in terms of tolerating this group. Moreover, it is also unclear if an armed operation can be launched against a group that is popular across the country and enjoys widespread support among millions of Pakistanis. The threats of the TLP are one of the reasons that the Supreme Court of Pakistan has gone silent on the issue of Aasia Bibi. The decision was expected to be in the favor of the accused as the evidence appears to show that Aasia didn’t commit blasphemy. Rather, a domestic scuffle was termed blasphemy: a sensitive issue that has been misused widely in Pakistan. At this point, sentencing a falsely accused person to death under the pressure of a religious group is not going to earn Pakistan any support internationally. Moreover, any such decision will not help build Pakistan’s image abroad. The case of Aasia Bibi will determine whether the state can effectively implement its writ and the country’s constitution or whether its institutions are going to be dictated by extremist forces.